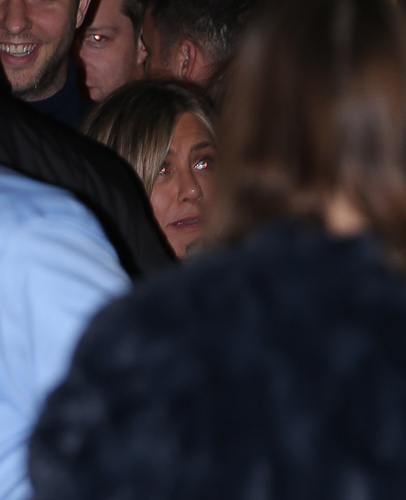 The great and the good of Hollywood turned out to mark a big occasion for Jennifer Aniston last night. But nobody was expecting Brad Pitt to attend his ex-wife’s birthday party in Los Angeles. The 55-year-old actor – who split from the former Friends star in 2005 after five years of marriage – was spotted making a casual entrance at the Sunset Tower Hotel, arriving alone in a black Escalade and quickly making his way inside in a bid to dodge photographers who were waiting outside. He is reported to have been dating Charlize Theron for a couple of months. 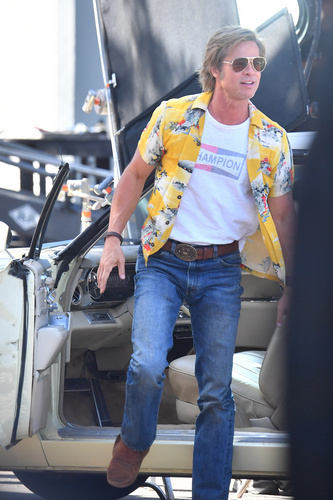 Other guests at the party were said to include another of Brad’s former flames, actress Gwyneth Paltrow, as well as Jennifer’s former boyfriend John Mayer. Also in attendance to celebrate Jennifer turning 50 – her actual birthday is tomorrow, Monday 11th – were former Friends cast mates Courteney Cox and Reese Witherspoon, as well as Robert Downey Jr and George Clooney. They aren’t in regular contact, beyond an occasional text back and forth. However, the photographers hoping the grab a glimpse of the A list stars were largely frustrated, with the famous faces not posing for pictures as they arrived or left the party. Jennifer – who split from Justin Theroux around the same time after two years of marriage – recently insisted she still regards her relationships with both her exes as “successful”. She said told Elle magazine in December 2018: “I don’t feel a void. I really don’t. She certainly wasn’t alone when she left last night’s party – the star was surrounded by pals.